The forms have been signed, my beginners’ German certificate has been safely filed away, and as I anxiously wait to hear if I have secured a room in the student halls of Heidelberg, there is no doubt that I will be studying abroad in Germany this year. But before I throw my belongings into the nearest suitcase and head for sie Deutschland there remains one small factor. Money. If you’re considering a year abroad working over the summer is great opportunity to enhance your funds and reduce some of the financial stress that comes with moving overseas. After handing out a mass of CVs and making endless applications online, I have been lucky enough to secure a waitressing job at Westfield, London this summer. 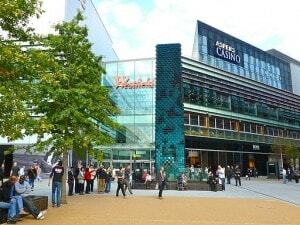 With over three hundred stores it’s one of the largest shopping centres in Europe. Last weekend I was responsible for serving Pimms, the essential British summertime drink, to guests who had come to watch the Wimbledon final on the shopping centre’s big screens. Tearing mint, chopping fruit and shovelling ice into pitchers at break-neck-speed did little to ease the demand for the popular drink as temperatures soared to thirty degrees in London. It was a great site as spectators sat on the edge of their chairs in awe and finally let out a collective roar of triumph, as the latest Wimbledon Champion Andy Murray beat his rival in three straight sets. 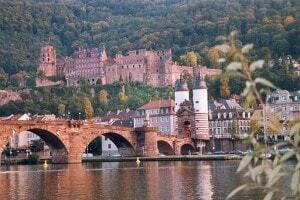 Heidelberg is itself a bustling town with three million tourists flocking to the city every year. Located in the South West of Germany along the River Nekar, its picturesque Old Town district wouldn’t look out of place as the backdrop to a classic Disney fairytale. But before I skip into the idyllic hills of Heidelberg I have to attend to at least some of the sixty thousand festival goers expected to attend Wireless Festival this weekend. It’s being held at Queen Elizabeth Olympic Park, a stone’s throw from where I work in Westfield, London. There are many pints of Peroni and plates of pizza to be juggled yet, not least for fans of festival headliners Jayz and Justin Timberlake. Nicky has now graduated from the University of Leicester. Guten Tag! I’m a third year English student, and getting set for my year abroad in Heidelberg, Germany. As well as being your very own crash test dummy, I’ll be giving you an insight into all things ‘Deutschland’; from what it’s like to study there, to the culture and quirky side of its city, Heidelberg. So if you’re teetering on the edge of deciding, or ready to go full steam ahead - what are you waiting for? Read on!